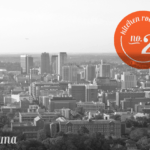 Today’s Birmingham travel guide comes from Beth of the sweetest blog, bethcakes! I’ve lived in Alabama my entire life. I grew up in the suburbs of Birmingham and went to college in Tuscaloosa. (Roll Tide!) 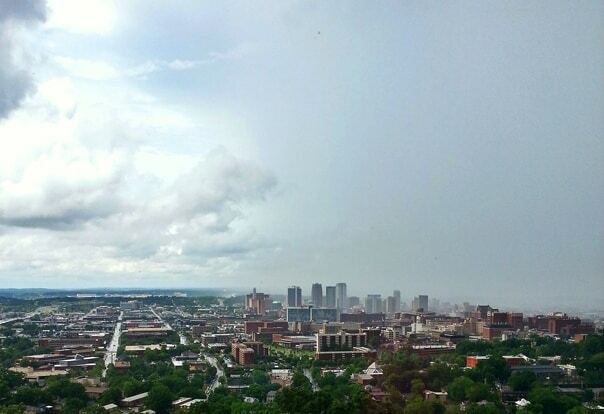 After college, I moved back home to Birmingham, except now I live a little closer in towards the city, which I love. There’s currently a huge revival movement happening in Birmingham, and it’s really exciting to witness! When I was growing up, we rarely ventured downtown. The only thing we ever did was go to the Alabama Theatre at Christmas to see a classic Christmas movie. About the time I was a senior in college, I began hearing people mention Birmingham or talk about going to Birmingham for the weekend. I sort of brushed this off, but after graduating, I realized just how much had changed in four years. Tuscaloosa is only an hour away from Birmingham, and I visited home often, but I had no reason to go downtown so it was a few months before I saw the change. There is so much growth and expansion happening in the Magic City right now, and I strongly encourage you to visit if you never have! And I know what people think of Alabama. I know the stereotypes and no, I have never ridden to school on a tractor. No, I don’t own any overalls. Yes, we have Internet, and honestly, I don’t even really have that much of a Southern accent. My first internship out of college was at Southern Progress, which is made up of Southern Living, Cooking Light, Coastal Living, and MyRecipes.com, all located here in Birmingham. I worked at MyRecipes for about a year-and-a-half, and when I was an intern, I was one of two people who were actually from Alabama. All the other interns were from out-of-state, and I heard many of them say that when they realized these jobs would require them to move to Alabama, they didn’t know if it was worth it. But after being here for a few months, they changed their minds and many of them are still here. 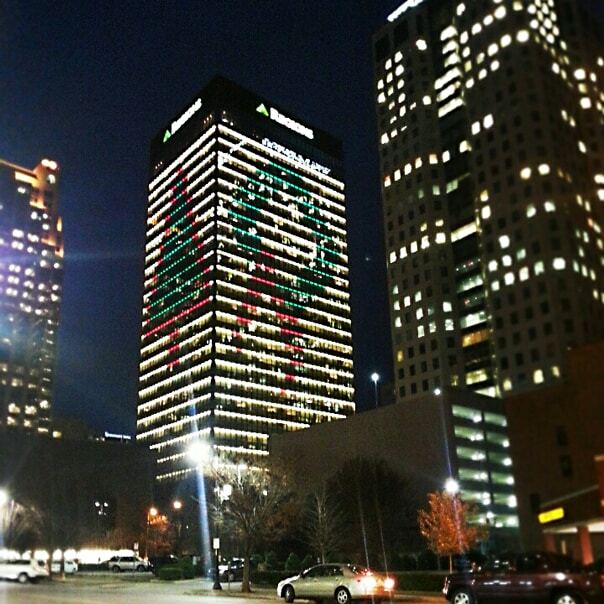 Birmingham has a lot to offer and has so much for you to do. It seems like new restaurants and local businesses pop up every day! So here are just a few things you can do and see when you come to visit! 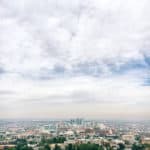 Click below to see Beth’s amazing Birmingham travel guide! El Barrio — Check out El Barrio downtown for excellent tacos and margs. 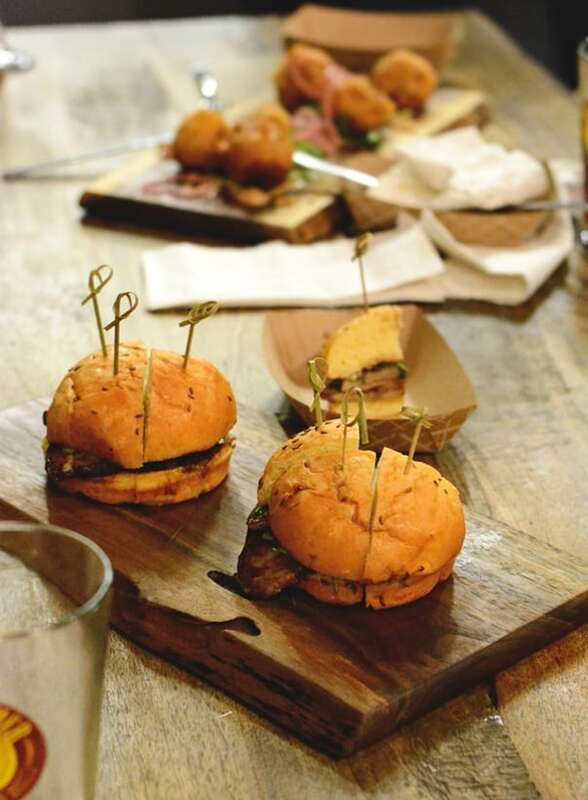 Highlands Bar and Grill — Chef Frank Stitt is known for his restaurants in Alabama, and Highland Bar and Grill is at the top of this list for best restaurants in Birmingham. Chez Fon Fon — Try some French food and flair at Chez Fon Fon, another restaurant by Frank Stitt. Bottle and Bone — Bottle and Bone is all about fresh meats, butchery and great beers. Paramount — The best burger I’ve had in a long time! Also get the onion rings. Saw’s Barbecue — If you’re looking for some classic Southern barbecue, you need to try Saw’s. 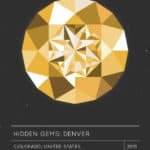 There are three locations: the main location in Homewood, the Soul Kitchen in Avondale and the Juke Joint in Crestline. Dreamland BBQ — Might as well eat all the BBQ while you can! The original location is in Tuscaloosa, but there are also locations in Birmingham, Mobile and Roswell. Slice — Slice is a gourmet pizza place in Lakeview. Try the barbecue pizza! The Bright Star — The Bright Star is a famous, Southern-style meat and three restaurant. The walls are lined with all the photos of celebrities that have stopped in. Satisfy your cravings for fried chicken and Southern sides! 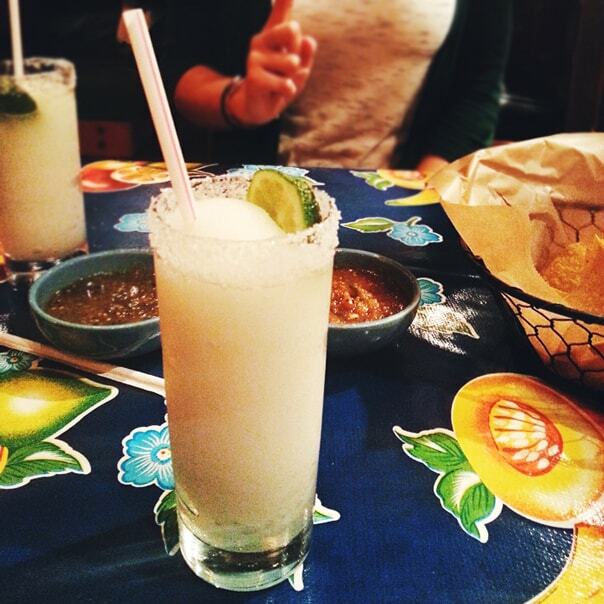 Little Donkey — Get the Sparkling Margarita! Excellent cocktails and great Mexican food with a little bit of a Southern flair. Dreamcakes — I really love this bakery. They offer tons of different cupcakes, as well as cakes, macarons and custom orders. Steel City Pops — I am in love with these popsicles. Opening several gourmet popsicle shops around town was such a fantastic idea because it gets so incredibly hot here in the summers. Cool down with some pops! Carrigan’s Public House — If you’re looking for a bar to check out, stop by Carrigan’s. Aside from a great selection of beers, they have some good cocktails and a great atmosphere. The Collins Bar — At The Collins, there is no menu. You just tell the mixologists what kind of drinks/flavors you like, and they whip something up for you. That’s it! Coffee Shops: O’Henry’s, Octane, Urban Standard, Revelator Coffee Company — We’ve got some great coffee choices here in the Ham! 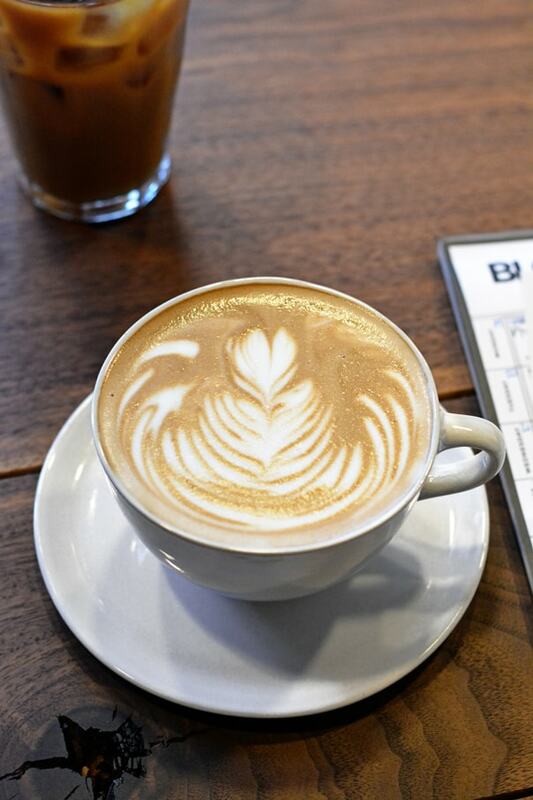 These are all great places to get your caffeine fix — from classy to cozy. Breweries: Avondale, Good People, Trim Tab, Cahaba — Breweries were illegal in Alabama up until a few years ago, and obviously, they were immediately popular when the law was changed. These four are all great choices! Parks: Railroad Park, Rufner Mountain Nature Preserve, Red Mountain Park, Oak Mountain State Park — There are plenty of outdoorsy things to do in Birmingham. 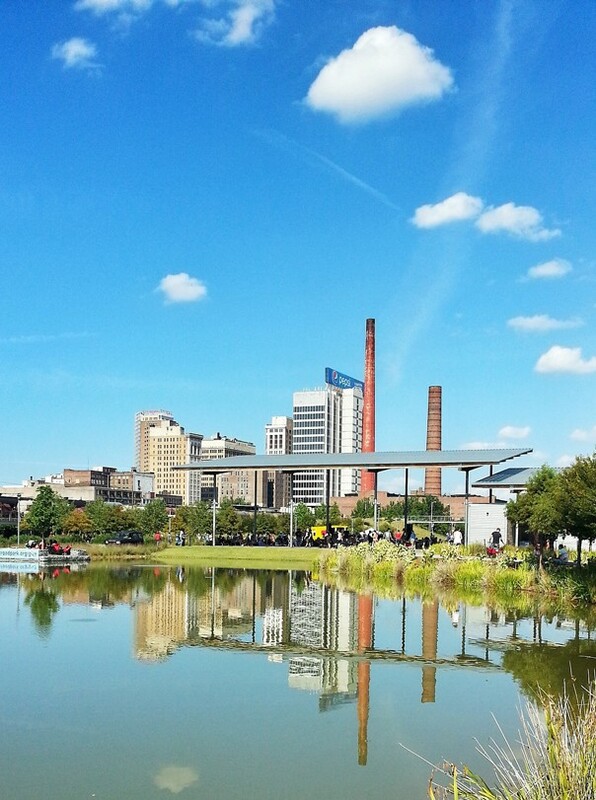 Railroad Park is actually downtown, and tons of events are held there. Rufner is just minutes from downtown. Red Mountain has tons of trails and zip lining. Oak Mountain has trails, camping, fishing and paddle boats. 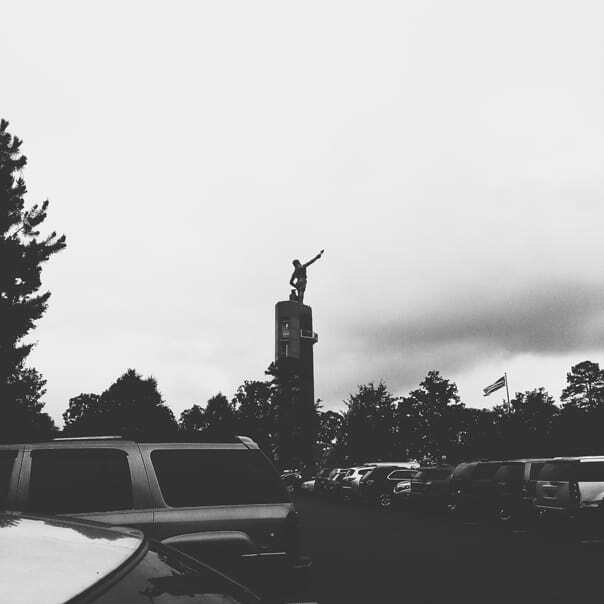 Vulcan Park and Museum — If you’re visiting Birmingham, you definitely need to visit Vulcan. He stands on top of Red Mountain and overlooks downtown. Vulcan is the largest cast iron statue in the world and was built for (and won) the World’s Fair in 1904. 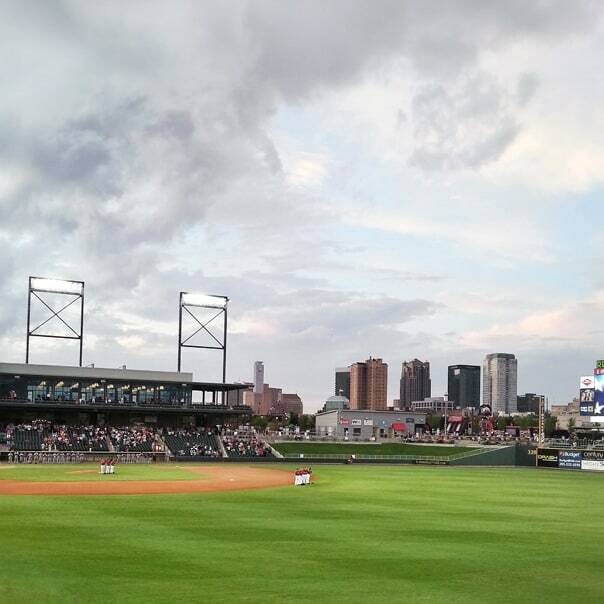 Regions Field — The addition of this baseball stadium to the downtown area has really impacted the revival movement. Instead of going out to Hoover to see baseball, now everyone goes downtown. Try to catch a game if you’re in town! Pepper Place — Pepper Place is a massive farmers market that meets every Saturday from 7am — noon from April to December. Check out local farmers, growers, artisans, and crafters. Sidewalk Film Festival — More and more festivals are happening in Birmingham, but the Sidewalk Film Festival has always been a hit and a huge success for the last 16 years! BJCC + Uptown — The newly renovated Entertainment District, also known as Uptown, is full of new restaurants like Bottle & Bone, Texas de Brazil, Todd English Pub, a few fancy hotels and the Birmingham Jefferson Civic Center (BJCC), where most huge concert tours take place. Birmingham Museum of Art and the Birmingham Civil Rights Institute — The Birmingham Museum of Art has more than 24,000 paintings, sculptures, prints, and drawings. The Birmingham Civil Rights Institute is more than a museum. They hold events, exhibits, learning experiences and so much more. This is really an important part of our history. Magazines — Southern Living, Coastal Living, Cooking Light, Country Living, Taste of the South, Southern Lady, Paula Dean, etc. — You can’t really visit these places, but so many people are surprised when they hear that these magazines are located in Birmingham. But this is the Deep South, and I think it’s a great piece of trivia to know! The Light Rails — Take a drive through the Light Rails, an art installment located underneath the 18th Street viaduct near Railroad Park. Birmingham Zoo — If you’re visiting when it’s warm out, you should definitely check out the zoo! It’s great for kids, and there are all kinds of events and camps you can sign up for. 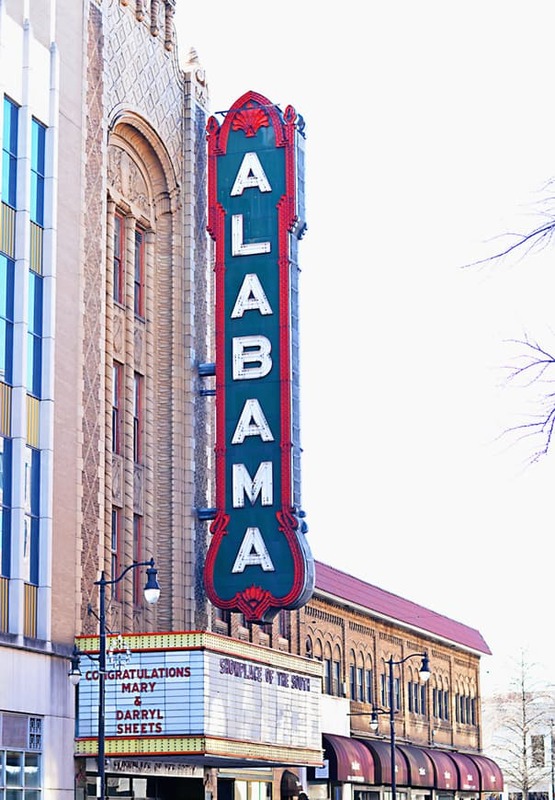 The Alabama Theatre — Definitely try to catch a show or movie here while you’re in town. I adore the Alabama Theatre, especially when they show classic Christmas movies in December. Downtown Homewood — I live within walking distance of downtown Homewood, which is really just one street lined with all these cute and unique shops. These are not usually chains, but are more local and unique to Alabama. ThreeSheets Linens, At Home Furnishings, Ambiance — Beautiful home goods shops in downtown Homewood. SOCA Clothing Boutique — A trendy shop in downtown Homewood. The Summit — This is probably the most well known shopping center in Birmingham. The Summit has 16 restaurants, like The Cheesecake Factory, Chuy’s, Flip Burger, Fleming’s Steakhouse, Primeaux Cheese & Vino, and over 100 stores, like Anthropologie, Pottery Barn, Kate Spade, Kendra Scott, Lilly Pulitzer, Belk, Old Navy, J. Crew, Loft, Banana Republic and TONS more. The Riverchase Galleria — This is the mall that was closest to me while I was growing up. You can shop all basically all of the major department stores, plus others like Forever 21, Francesca’s, LOFT, New York and Company, Coach, Sephora, Express, Gap, Abercrombie, American Eagle, Hollister, the Lotus Boutique, and more. Most of the restaurants are outside of the mall and include, Bone Fish Grill, California Pizza Kitchen, Olive Garden, Gigi’s Cupcakes, J. Alexander, and all the food court foods you could ever want. Brookwood Village — This mall is a little smaller than the previous two, but includes Victoria Secret, LOFT, New York and Company, Altar’d State, Books-A-Million, Banana Republic, Charlotte Russe, Earthbound, DSW, and Hibbett’s Sports, plus restaurants like Cocina Superior, Brio, Five Guys, and Hickory Tavern. Shops at Grand River — Also known as the Outlets! This mall is located in Leeds, which is about 30 minutes from Birmingham. Definitely stop by the outlet version of your favorite stores! 1 hour: Tuscaloosa, Ala. — As a University of Alabama grad, I cannot urge you to visit Tuscaloosa enough. You can visit the UA campus, go to numerous sporting events, concerts at the amphitheater, hangout at the river, shop at Midtown Village, explore downtown, or visit nearby Moundville, which is full of Native American culture and history. 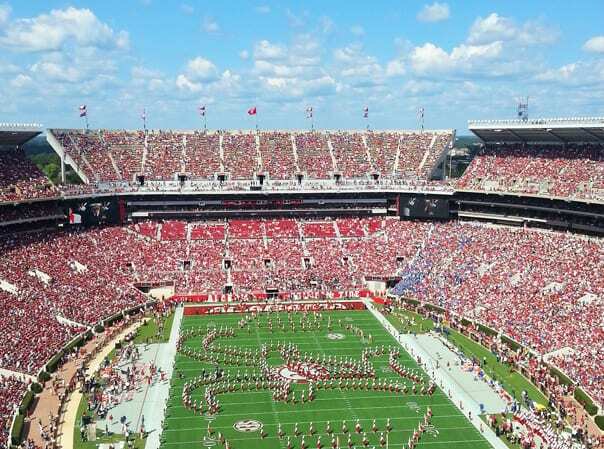 2 hours: Auburn, Ala. — Although Auburn University is UA’s biggest rival, it would be wrong, as an Alabamian, to leave it out. I personally have never been, but I’ve heard great things about the food and the campus as well. 1 hour, 45 minutes: Lake Martin, Ala. — This area would be a great place to spend the weekend. Can you imagine relaxing on a boat or a dock all weekend long? 1 hour: Talladega, Ala. — this wouldn’t be the South without Nascar, right? Get your high-speed racing fix at Talladega Super Speedway! 1 hour, 30 minutes: Huntsville, Ala. — U.S. Space & Rocket Center — It’s surprising to some people that we have a Space and Rocket Center, but it’s located in Huntsville (Rocket City) and it’s a fun and educational place to take the family! 1 hour: Noccalula Falls — I haven’t been here since I was little, but the falls are definitely a site I remember. Next to the falls, there is a large bronze statue of Noccalula, a Cherokee maiden, who supposedly jumped off the falls after her father ordered her to marry a man she didn’t love. It’s kind of a sad story for such a pretty place, but the park also includes trails, a petting zoo, a mini golf course, botanical gardens, and of course, the 90 foot waterfall. 2 hours: Muscle Shoals, Ala. — If you’ve seen the documentary of the same name, you know that all kinds of musical history happened in this town. FAME Studios and Muscle Shoals Sound Studio has recorded many incredible artists over the years, such as Aretha Franklin, Otis Redding the Rolling Stones, Carrie Underwood, Bob Dylan, Lynyrd Skynyrd, the Allman Brothers and so many more. Beth Branch is the baker, blogger, and photographer behind bethcakes.com. 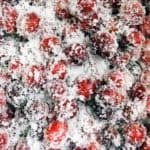 She has been baking and blogging for about four years, which started while she was a student at the University of Alabama. Beth currently lives in Birmingham, works at a law firm by day, and previously worked at MyRecipes.com. She is a co-founder of Birmingham Bloggers, a local blogging community that works with bloggers and exciting new businesses in Birmingham. Beth’s favorite cake flavors are funfetti and red velvet, she eats a lot of Mexican food, and has a vast shoe collection. Looks fun! I have never been to AL but this will be helpful for when I finally do! LOVE THIS! Birmingham has been on my list of places to travel. We would spend a weekend there! Thanks so much for sharing this! This is a wonderful piece about Birmingham!!!!! Thanks for sharing. Thank you for your awesome tips! We just started a collage friends group travel in Birmingham and these tips really helped me about what to do next. Ok this is PERFECT timing. 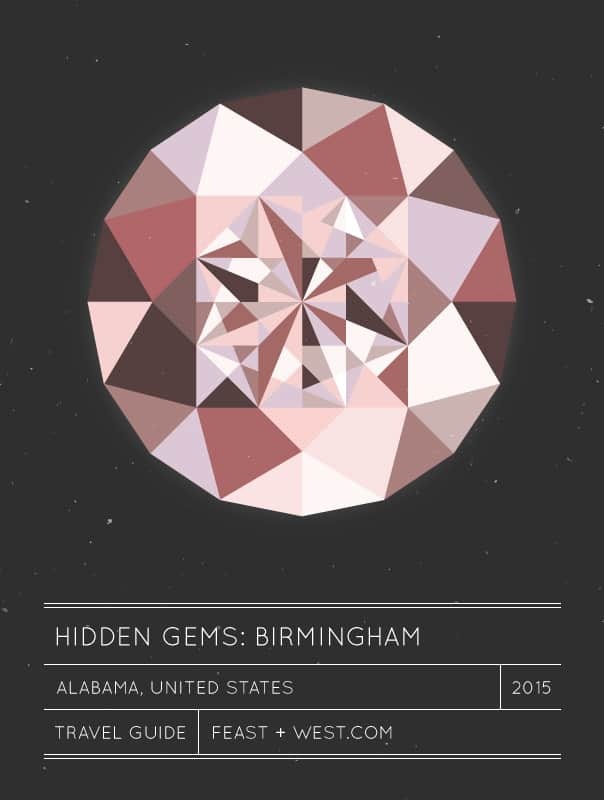 Going to Birmingham next week and this guide is exactly what I needed. I am kind of familiar with AL’s beach life, but this post is pure gold. Bookmarked and re-pinned! Glad you found this guide useful! Birmingham is the cutest.